GYM is a Premium HTML Template for Gym, Fitness Center or Health Club. This Theme is clean and well organized. It is pixel perfect, made with Bootstrap 3. 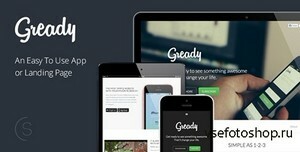 It's a awesome Clean, Minimal and Elegant HTML5 / CSS3 Landing Page with great feature ! This template has been designed for presenting a Future Website or would be perfect for an App Page. This theme is very easy to customize and well detailled for beginners, there’s not full of useless thing and huge files to load that you don't need ! 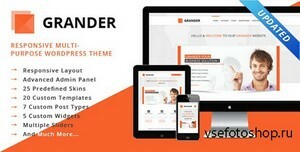 GRANDER is a responsive WordPress theme, ideal for your business, software, product or blog sites. This theme has been developed to serve at all your needs, it comes with a wide range of options that will allow you to doing almost everything you want with the theme. 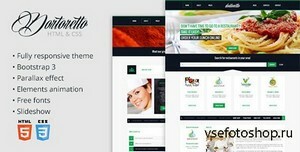 Dortoretto Theme - this is a product designed for all kinds of restaurants. The main theme of the template is to promote other restaurants, fast food, and more. Of course a template you can use in different ways. 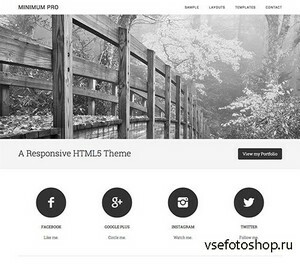 TouchM is a multifunctional Premium Responsive Joomla Theme. 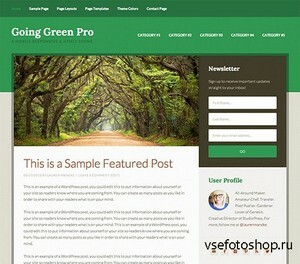 It will suit ideally for business, software, store, product, or blog websites. The theme features clean, modern design and a convenient administration panel which provides numerous options to manage and modify any aspect of the theme regardless of your coding skill level. All the elements in this theme are optimized to work flawless on touch screen devices. Swipe, tap, double tap theme's elements to experience the fluid and responsive structure. 3 responsive sliders, filterable portfolio with various layouts, a comprehensive list of shortcodes and a visual shortocode generator covering most scenarios, pricing tables and numerous jquery enhancements are just a small part of what the theme offers. 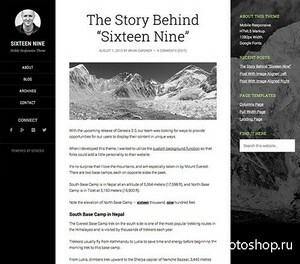 With it's 100+ features TouchM is providing you with the professional look your website might be looking for. This is responsive Joomla template for websites for music bands. It probably has all the features that every music band template should have. There's a large image carousel on the home page that can be used for the best shots of the band. This is followed by the blog section (powered by K2 component) which organizes news items in several tabs (powered by jQuery UI). Scroll down and you will find the band's tour events organized in tables that represents years (can be changed to months of whatever else). The table contains the most important information about each tour event. There's also ticket ordering form that you can integrate with PayPal to sell online tickets. One more step lower, the visitor is served with samples of the band's music which can be streamed online (powered by HTML5 in all modern browsers). Each song has been connected with links for buying the band's songs online via iTunes or similar service. There's no better way to promote a music band's events than showing some great pictures and video clips (served by YouTube or Vimeo). This is the next step in the long home page of Hot Music Band template. It's also divided in two tabs (Pics and Video) which are also divided in several sub-tabs. This allows the website owners to post much more images and video clips in the same place. The bottom part of this template is reserved for interaction with music band's fans. Visitors of the band's website can send an email through the integrated contact form (powered by Rapid Contact module). Finally, for the communication with fans through social networks, there are several buttons designed and connected to the most important social networks for this industry (unavoidable Facebook and Twitter, and more...). A custom background, mobile responsiveness, and HTML5 are the base on which you can build a look for your site that rises above all others. A stunning execution of "less is more", the Minimum child theme expresses everything you're about, with very little effort. Clean, elegant, powerful, unfettered, and uncluttered are a just few words that say... Minimum.